March 17-19 (The retreat is presently full). Often our perception of our heavenly Father is framed by our experiences of earthly fathers. What if we looked at Jesus’ demonstration and teachings about the Father since Jesus was the one who knew the heart of the Father and made him known. Location: A rustic, private cabin in Idyllwild. Join Gem Fadling,Trevecca Okholm and Karen Askenaze as they facilitate a weekend of gentle conversations and quiet reflection. Elizabeth Khorey will facilitate a morning at The Getty Center viewing old masters’ drawings. The special exhibit Drawing: The Art of Change, comes from the Center’s permanent collection. The exhibit observes the crucial role of drawing and revision in the artistic practice. Elizabeth will help us make connections between the necessity of change in bringing a master piece to fruition and the ways we are invited to embrace change in our lives for God’s intentions to be realized. Art, like life, is a dynamic journey of discovery and creation. Suggested Arrival: 9:30 am. Come early, the parking structure, tram and Central Garden is open at 9:30. Galleries open at 10 am. Eats: There are coffee carts, cafeteria, and cafe at The Center. Holy Trinity invites you to retreat with us! We are excited to have Ellen Burany as our retreat facilitator. The retreat will be held at Mission San Luis Rey in Oceanside. Cost of the Retreat: $40.00 per person includes lunch, light snacks, and full use of the grounds. Scholarships available upon request. Ellen loves to come alongside others to help them connect more genuinely and fully with God in the ups and downs and “in betweens” of daily life. Ellen received an M.A. in Spiritual Formation and Soul Care and is a practicing spiritual director. 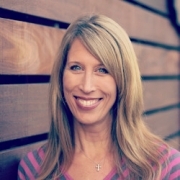 She currently is on full-time staff with CRM (Church Resource Ministries) where she leads ReNew, a team and ministry that focuses on the spiritual formation and care of pastors, ministry leaders, missionaries, and their families as well as on providing resources that help with the integration of spiritual formation within their ministries.